Renting computers is a great way to supply your business with the desktops or laptops it needs at a fraction of the cost of buying them. Before you turn in the rentals for an upgrade, or simply want to return them because they’re no longer needed, you’ll want to be sure that all your business files and applications are backed up and the data wiped off the rental’s hard drive. The importance of backing up your rental computer can’t be over-stressed. For businesses, it’s more than just inconvenient if vital documents are lost due to a computer crashing or malware. Using CDs or DVDs are a common way to back up computer data. It’s effective and inexpensive, however, you may need several disks to back up all your files and applications. This method can also be time-consuming, as you must select individual files to download and you’ll need to label each disc as to the content it contains so that retrieving specific data when you need it won’t be a problem. 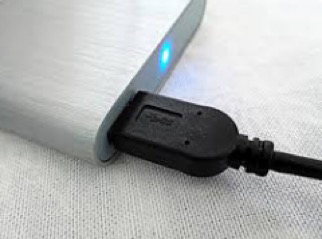 An external hard drive is one of the best ways to back up the data on a rental computer and it’s an inexpensive and easy option. All you need do is to connect the external hard drive to one of the computer’s ports and transfer all your files to it. Once that’s done, you can disconnect the external drive and store it in a safe place or keep it connected to the computer and continuing filing all your business documents and projects directly to the external drive. That way, if the rental computer crashes or you simply want to switch to a new computer, nothing will be lost and there will be no need to wipe the rental’s hard drive. You’ll only need to connect the external drive to a new computer and continue with business as usual. Another good way to secure your data is to use an online data storage service, such as the cloud. Once a connection between the computer and the server is established, you can initiate the upload. For a relatively small amount of data, one of the free storage sites may be enough. However, for larger amounts of information, a fee-based data storage site is a better option. Your access credentials will allow you to connect with your data any time and from any computer with an internet connection. Malware is a term used to describe a range of malicious programs that includes viruses, spyware and adware, any one of which can threaten your computer and data. Data can be stolen, deleted or rendered inaccessible, depending on the severity of the infection. Your entire computer could even become unusable. Data backup will let you safeguard important business files from such an eventuality. If you’re computer is ever stolen, there’s no hope of ever retrieving your data. Regularly backing up your files to the cloud or an external hard drive will protect them. Loss of data isn’t always caused by outside sources. We’re all prone to making mistakes and accidently deleting or changing an important file can happen. Having a backup of your files can save them from human error. Computers are delicate machines. Dropping a laptop can damage it and make retrieving files impossible. Even simple wear and tear over time can cause it to stop working. In case of an accident, you can transfer your files to a new computer or laptop, so long as they’ve been backed up. A computer can suddenly stop working at any time and for seemingly no reason. The only way to protect your data from something you had no way of predicting, is to back it up using the method of your choice. Whatever data storage option you choose, it’s important to back up your files every few days during the rental period. That way you won’t be scrambling to back everything up at the last minute before returning the rental computer. Important files could be overlooked in the rush.